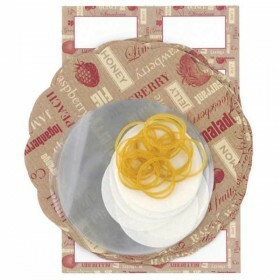 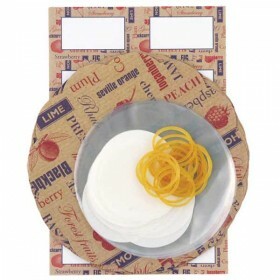 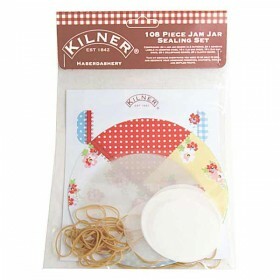 A 108 piece jam jar sealing set in the Kilner Floral style. 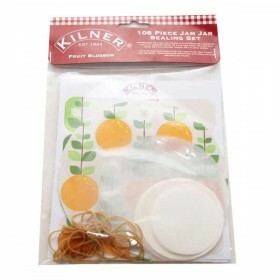 Each pack contains - 24 covers i..
A 108 piece jam jar sealing set in the Kilner Haberdshery style.Each pack contains - 24 covers in 2 ..
A pack of 20 decorative preserve covers together with labels, wax discs, swing tags and string.This ..
A pack of 20 decorative preserve covers together with swing tags and string.This pack has a red and .. 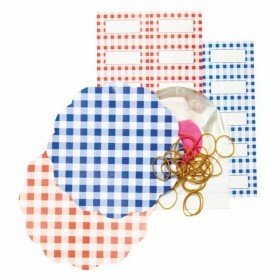 Dot Red / Blue preserve set (approx 20 pieces) - TalaAlso included are labels, transparent covers, w.. 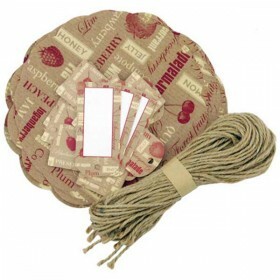 Flowers Red / Blue 1 lb preserve set (approx 20 pieces) - TalaAlso included are labels, transparent .. 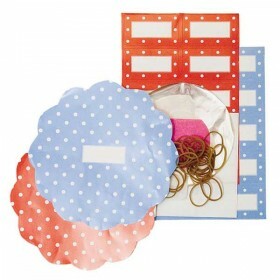 Preserve sealing and labelling set.For 1lb pots contains 10 x red and 10 x blue patterned covers and..
An accessory kit to fit most 1lb jars. 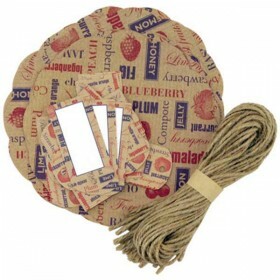 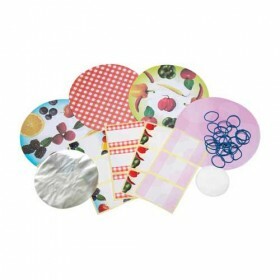 Includes patterned covers and labels in 4 attractive designs,..